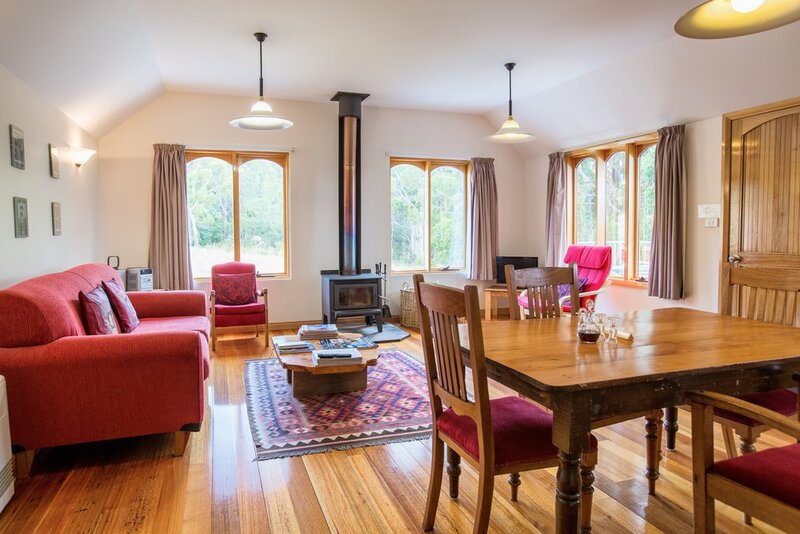 Herons Rise Vineyard is a family-owned vineyard, with holiday cottages and superb views across the D’Entrecasteaux Channel to Bruny Island, on the slopes above Kettering village. 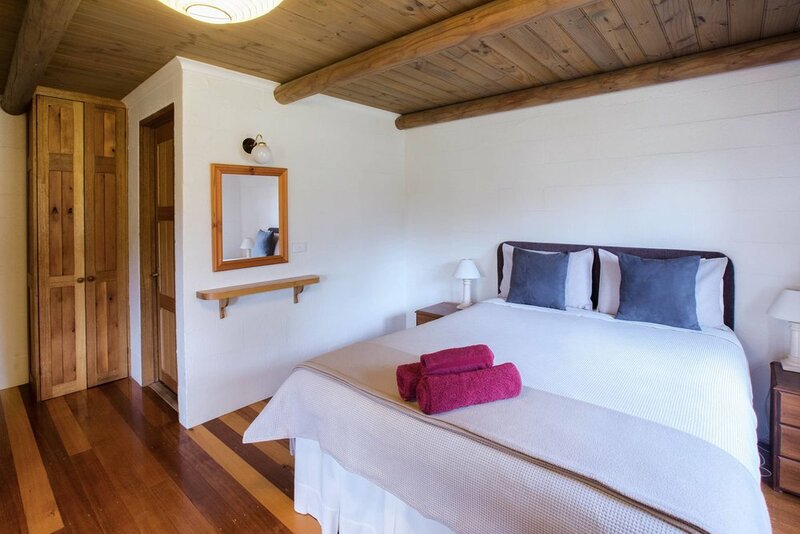 We invite you to visit us for a relaxing stay in one of our comfortable cottages. 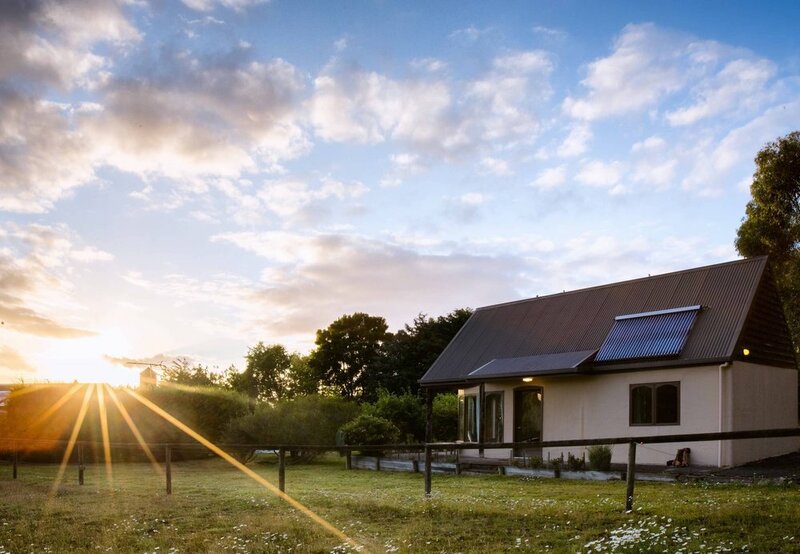 Herons Rise offers guests two well appointed self-contained cottages for couples, families and friends travelling together. These delightful cottages are situated within the peaceful grounds of Herons Rise Vineyard. We value our very special property and strive to manage it in an environmentally responsible way. 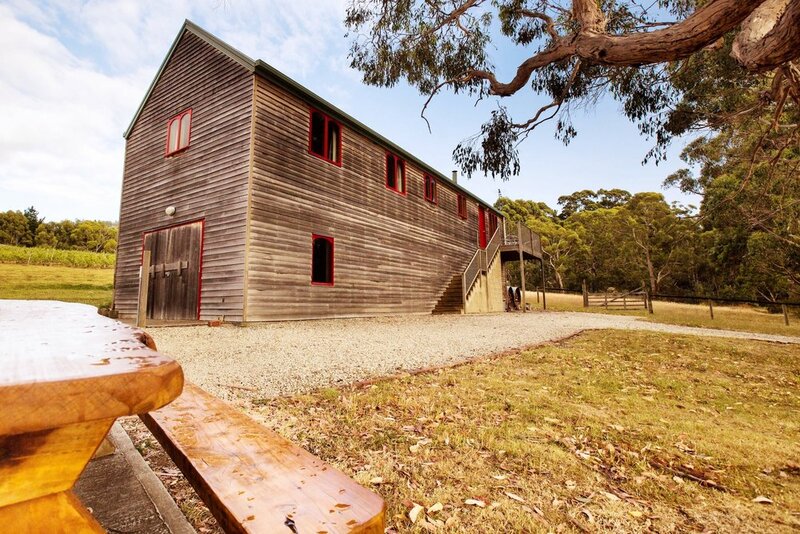 Stay a night or longer, using Herons Rise as a base to really experience this spectacular region of Tasmania. Many of our guests take up our offer of seven nights for the price of six. We also supply generous breakfast provisions, as an add on (locally-produced where possible), including fresh home-made bread and eggs from our free-range chooks (if they're cooperative!). In addition, we stock a small 'pantry' of reasonably priced snacks and dinner provisions for those who come unprepared, and who wish to eat 'at home'. a secluded cottage with peaceful water & rural views.